Well we are hoping to fall into a routine (in a good way) now that we are feeling more settled. After spending time in service on different days and seeing what things we will need to do on a weekly basis we have begun to be able to develop a schedule that will work well for us here. The thing that is really interesting here is that the times for the service meetings as well as the meetings reflect the culture. Basically everything is later! Our school and service meeting starts at 8pm on Tuesdays. Our public talk and WT study now starts at 6:30pm on Saturday (and this was moved earlier starting Saturday). The service meetings are interesting as well. For the French group we have meetings at 5pm in the evening on Wed – Friday and then we have a meeting on Sunday morning at 10:30am. It’s really weird not having a service meeting on Saturday! 🙂 These meeting times reflect the culture however because when we go out after 5pm in the streets they are FULL of people coming and going, talking, spending time with family, eating or just being out and about. It really is easy to talk to people here because they are everywhere and the culture is one where it is not unusual to strike up a conversation with a complete stranger. The Spanish congregation has similar service times however they add mornings starting at 10am on most days. What we have been doing is going out with Spanish and English to get a feel for how we would like to work our schedule. 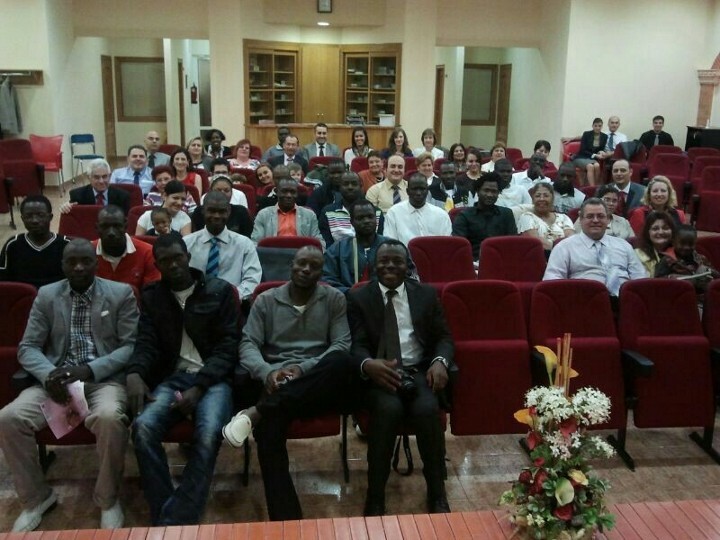 As some of you know already we belong to a French group which is hosted by a Spanish congregation. We have the public talk and WT study every week in French. We also have the Theocratic ministry school in French in the second school and then once the Service meeting starts we join the main hall where it is held in Spanish. The Spanish hall, by the way, has almost 130 publishers if I remember correctly. So we are enjoying getting to know all of these new wonderful brothers and sisters whether at the meetings or in service. We also look forward to working on our languages while we are here. It is amazing how powerful a technique immersion is. We did not come to this country to learn Spanish but we knew that it would be possible to do so while we are here. We are learning a lot as we communicate with people in every day situations as well as with the brothers in Spanish. But despite this we are continuing our efforts to learn the language in an organized methodical manner that we started while in the US. For this I (Antoine) would like to spend at least 30 minutes a day working on my Spanish. After having arrived here however we soon realized that if we want to be even more useful in the territory we should learn some other languages as well! If you are in a French circuit in the United States, this could be compared to someone learning creole or Kabyle to help ones in the territory. Simple greetings and phrases would be a good start. These languages that we see being used by ones in the territory are Bambara and Wolof. These are languages spoken by immigrants from Mali and Senegal and some from Burkina Faso. I hope to dedicate 30 minutes each day to each of these languages as well. So as you can see we have our work cut out for us! We appreciate your kind prayers so that the good news can possibly reach the ones in the part of the earth searching to serve the true God! 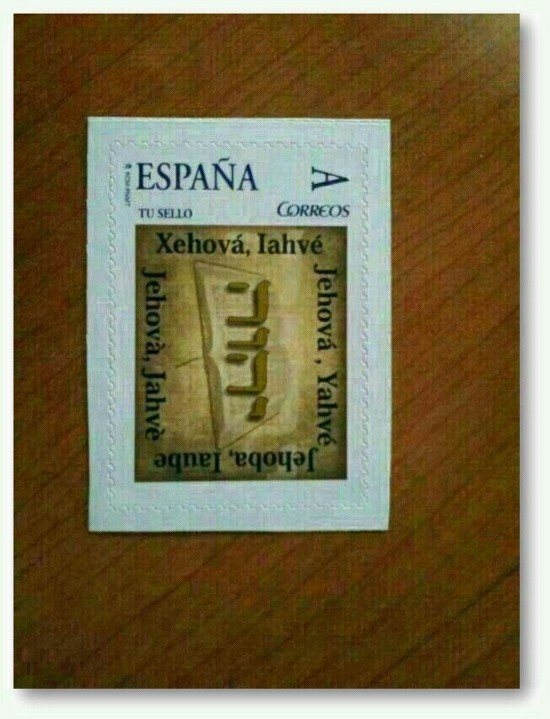 Stamp in Spain with the Divine Name! Previous PostGatherings & more Gatherings!